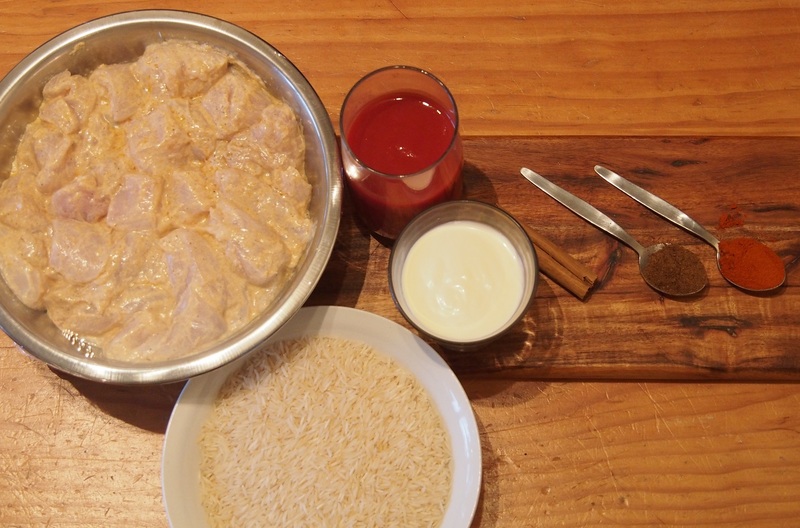 A recipe for Indian butter chicken where you can marinate the chicken from 2 hours to overnight. 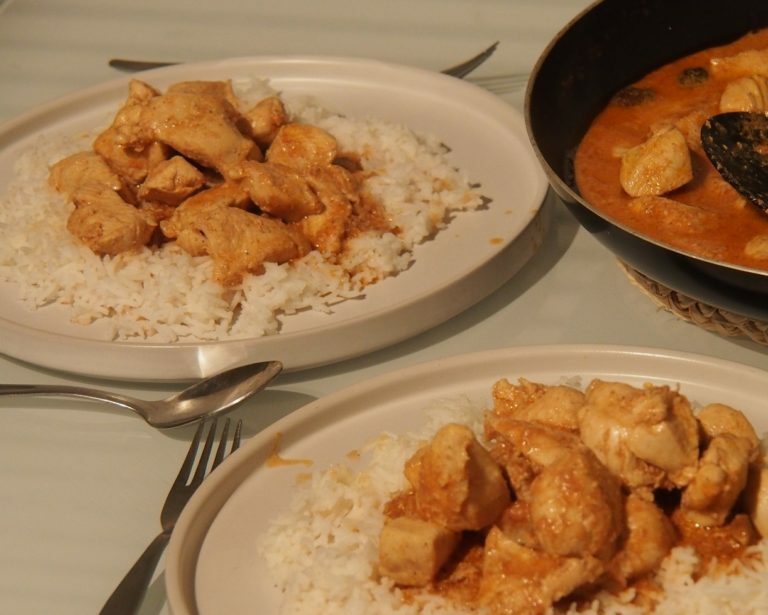 This butter chicken is made with many spices and is actually made without butter in it at all. For marinate: Mix garlic paste, ginger paste, yogurt, chilli powder, garam masala, oil and lemon juice in a medium sized bowl. Add chicken to the marinate, cover and refrigerate for 2 hours to overnight. For curry: Heat an oven to 200°C then roast the chicken pieces on a baking tray for 7 minutes. Heat oil in a large frypan over medium heat. Add bay leaf, black and green cardamom, cloves and cinnamon stick and let crackle. Lower heat and add garlic and ginger paste and cook for 7 minutes. Add chicken pieces and cook for 7 minutes. Add tomato puree, chilli powder, garam masala and salt. Cook for a further 8 minutes. Add honey and cream. Cook rice as per packet instructions. Serve chicken with rice.